Real Madrid left it very late. 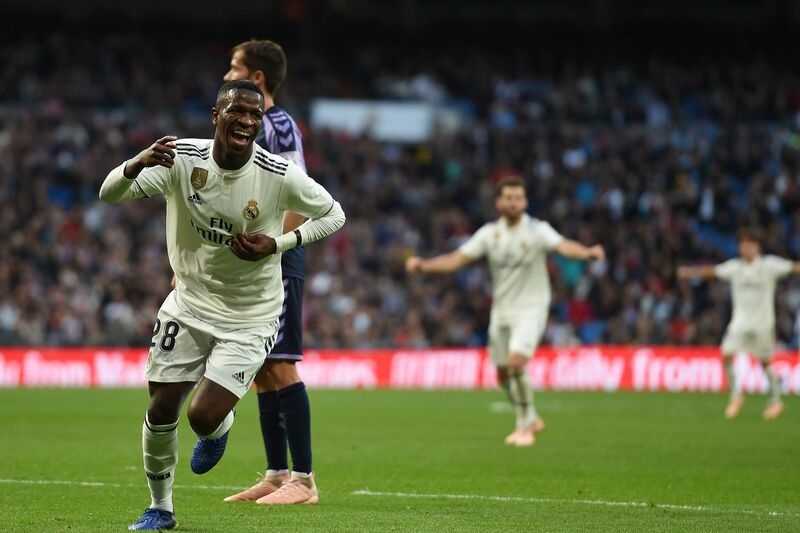 Vinicius?s incisiveness off the bench changed the match. Real Madrid defeated Valladolid 2 - 0 (OG?, Ramos) at the Bernabeu. Here?s our quick reaction. Still to come: Player ratings, tactical review, and post-game podcast. Solari?s first La Liga game in charge ends in a win ? one that didn?t come without plenty of frustration for Real Madrid fans. Solari rolled out a common 4-3-3 to start, giving a La Liga debut to Sergio Reguilon at left-back, and rewarding Odriozola?s form from the Copa del Rey by slotting in the youngster as the team?s right-back. Reguilon was one of the team?s lone bright spots in the first half (and throughout the entire game, to be sure). Real Madrid emphasized playing in a ton of crosses in the half (19, all in all, by half-time, and 44 by the end of it), with Reguilon being a focal point. The left-back attacked well, provided constant overloads, and the quality of his crosses were good. Real Madrid?s crossing (for the prolific rate they hit them in), was generally of high quality. Bale, Casemiro, and Benzema were able to get on a good number of them, but the headers themselves were either tame or off-target.